I'm popping by to share a final card featuring the fabulous SOLD OUT Simon Says Stamp April Card Kit: Beautiful Day. For today's card I die cut a piece of Lawn Fawn's Really Rainbow green patterned paper using Simon's Bundle of Stitches Dies and Stitched Oval Dies. I stamped the leaf images from the Beautiful Day Stamp Set using Simon's White Pigment Ink and shaded them in with Prismacolour Pencils. I used the Distress Blending Brush with the Mermaid Lagoon Distress Oxide Ink on some of the Simon Says Stamp 120 lb White Cardstock to create the background for the butterfly. I stamped the butterfly on this background and again 3 times on one of the pieces of Lawn Fawn Really Rainbow Patterned Paper. I paper-pieced the patterned butterfly, adhered the pieces together with foam squares. The sentiment was stamped on a piece of Simon's Island Blue Cardstock and added with foam squares as well. The whole panel was added to a piece of Island Blue Cardstock for I adhered it to my notecard. If you don't want to miss out on future kits for $29.99 + shipping per month, you can SUBSCRIBE HERE. 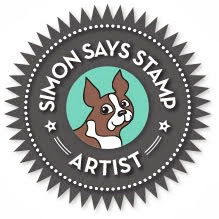 Heidi, owner of Simon Says Stamp, has given me an extra Simon Says Stamp April Card Kit to pass on to one of you! Just leave a comment on any or all of my April 2018 Card Kit posts and I'll announce a winner Monday March 26th. That butterfly is gorgeous! I looks like stained glass, and I love the layers. 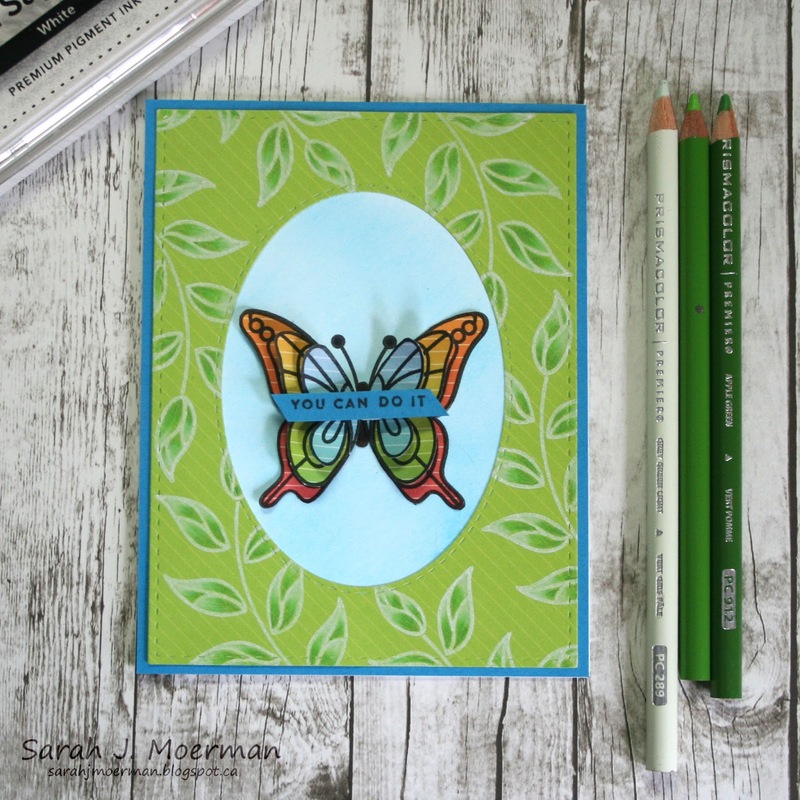 Love the multicolored butterfly with the layering, stunning card design! Gorgeous card, Sarah! I love the dimension on the butterfly and your colouring on the leaves. You do such beautiful work. Beautiful, just love the butterfly and focus on it! The layers and those colors you choice are amazing! The leaf stamping on the patterned paper is so pretty, especially with the shading and the layered butterfly is amazing! One of my favorite things to use on a card is a butterfly! This one is so gorgeous and I love the leaf background. Your card is gorgeous. Love the the butterfly and the stained glass effect you achieved. Thanks for all the inspiration. Beautiful! Blue and green are my favorite colors, so I love this! Beautifully done Sara! The layered butterfly is outstanding!! Gorgeous layered butterfly! I really like the stamp set in this set and I love how you used it today. Love the pretty background and the gorgeous stained glass butterfly is so beautiful! Wonderful card! 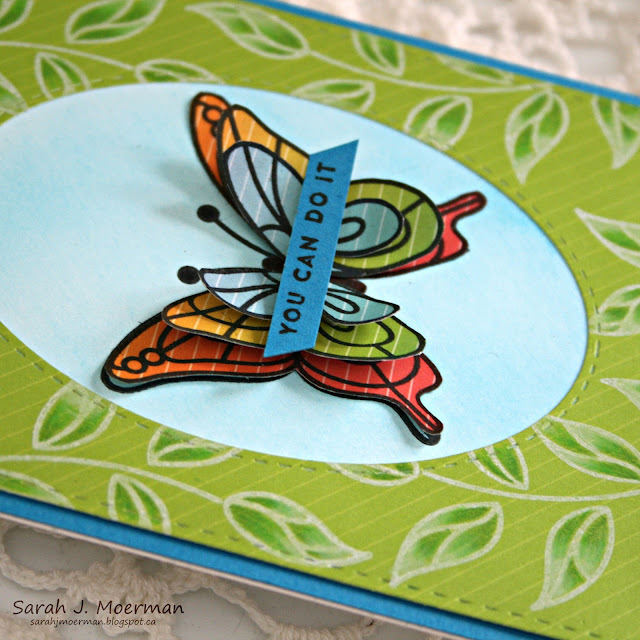 Your butterfly card is so pretty, Sarah! I think this is one of the best Simon kits yet! I love butterflies! Would LOVE to win! I knew it would sell out, this has to be one of my favourite kits!! Once again your inspiring me with your stamping on patterned paper. Love the softness of the pencils and the multi-layered butterfly looks incredible!! Oh, I love how you created your background onto the patterned paper and love your paper-pieced butterfly as well. Such an amazing kit. This is really pretty. I love the leafy background. This is such a great kit!! Your butterfly coloring is so wonderful! And the background shows it off perfectly. This is a fabulous kit....just wish Simon would make more of them.....they were sold out almost immediately! Gorgeous kit - I am not surprised that it is sold out. Thanks for the chance to win one ... your card is outstanding. Love these layered butterfly.. pretty card. What a beautiful layered and colorful butterfly. Perfect vocal point on your card, Sarah. Thank you for the inspiration and a chance to enter your giveaway. Love all the techniques you used on this card - it really makes the butterfly appear to fly! I never think to add shading with my Prismacolors on patterned paper so definitely going to give that a try. Thanks for all the inspiration and a chance to win a fantastic kit. Love all the inking and coloring and a paper pieced butterfly? Wow! Love this encouragement card. Great use of the Patterned papers. This is beautiful for so many occasions! I really love the April card kit. - it’s gorgeous! 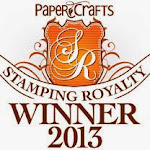 Simon Says Stamp Best Days Blog Hop & GIVEAWAY!